Be where your potential customers are – the Internet. In the era where digital trends have skyrocketed, staying offline would only mean mediocrity in the business. You need to be where your customers are, and as a matter of fact, they are nowhere more than they are “Online”. But, online presence is only the first step of the ladder of online success. The second inevitable thing to do is create a brand online. Since you cannot indulge in publicity, or other traditional methods, building a reputation online takes a lot of effort while being completely worth it. It is all about how the Internet, or better yet, Google sees you as a business. Your potential customers are likely to know about you through Google, and it matters what they are being told. 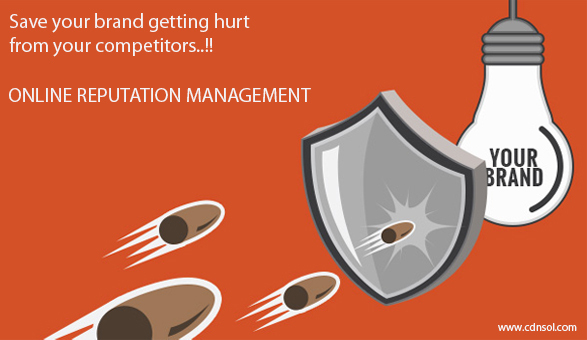 Long story short, Online Reputation Management deals mostly with the search results that are displayed when you or your business, your product or your service is hunted for on the Internet. It is about time that the word ‘Online’ be completely dropped from ORM, because your online reputation is, in fact, your reputation. Thanks to the digitization of the world! ORM is essentially the series of activities in a process to control what comes up when you are looked up online. ORM is not limited to search engines but covers forums, blogs, news websites, social networking sites, and any other place your customer hangs out digitally. Why should you care about ORM? Your online reputation is more crucial than imaginable initially, and when done right, ORM can lead to a flourishing business. Edelman Insights reveal that every two out of three people perceive the Internet as the most reliable source of information concerning a person or a business. Almost all the people looking for a local business read their reviews online. These insights tell us one thing, people are searching for everything online, and trusting what they find. If they find optimism about you online, they will believe it. If they find pessimism, they’ll believe it too. Online is no more restricted to computers but is well blended into our lives owing to the Internet of Things gadgets. We are never very far from the Internet. Needless to say, we are leaving our marks on the Internet whether we know it or not. These marks are what build our online image, and project as being good or bad. This, in turn, affects our business. In the long term, it will be impossibly difficult for you to change a reputation online, that has built over numerous years. One negative review against your business can go a long way in adversely affecting your business image, the reason being, the Internet never forgets. Objectives – While SEO concerns itself with the ranking of your website in search results, ORM controls what content lands on the first page of the search. If your website ranks first on Google, ideally, but it is a negative bias rambled on by an opponent, the first rank means nothing. Promotion Aspects – Essentially, SEO is about moving the website up in the search rank. ORM is about moving the negative stuff down, away from the general reach of the audience. It is more important that people do not click on a pessimistic review than that they click on your website. Virality – While SEO is about the outreach of your website, ORM would be relieved if that is not the case. It is difficult to control the negative feeds when the search volumes are high as the higher the number of people, the more is the lack of balance in the positioning of the web pages in the search. You may also like – All You Need To Know About EDM Solutions!! There are ways to bury the bad results under the positive ones. Profiles – Social media profiles inherently rank high on the search engines. Having social media profiles with your and/or your brand’s name is the easiest way to rank well on the search engine. Maintain the profiles – Social media profiles are better when active than dormant. They rank good on search engines and help build a positive image, only when kept alive. Own a domain – Register a domain name and not just that, fill it with your portfolio, blogs, resume, appreciative testimonials, and links to websites that would help build your strong image. SEO – It is important that you do not take the content on your website lightly. It does not take a whole lot of effort to make sure that your content is filled with the right keywords and is high in terms of quality. Press releases add up to your visibility online, so make sure you tell the world about your work. Human society relies on collaboration. Do not assume that you know ORM well and that you can do it on your own. It is a business’ flaw to not recognize an expert’s talent it can use for its own good. Refrain from making a mistake and hire a Reputation Management Specialist to take your business to the zenith of success.